Zika May Increase Risk of Mental Illness, Researchers Say – What Causes Severe Mental Illness, Psychosis and Mania? A baby with a shrunken, misshapen head is surely a heartbreaking sight. But reproductive health experts are warning that microcephaly may be only the most obvious consequence of the spread of the Zika virus. Even infants who appear normal at birth may be at higher risk for mental illnesses later in life if their mothers were infected during pregnancy, many researchers fear. 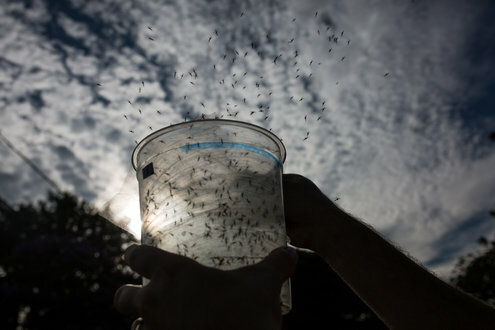 The Zika virus, they say, closely resembles some infectious agents that have been linked to the development of autism, bipolar disorder and schizophrenia. Schizophrenia and other debilitating mental illnesses have no single cause, experts emphasized in interviews. The conditions are thought to arise from a combination of factors, including genetic predisposition and traumas later in life, such as sexual or physical abuse, abandonment or heavy drug use. But illnesses in utero, including viral infections, are thought to be a trigger. “The consequences of this go way beyond microcephaly,” said Dr. W. Ian Lipkin, who directs the Center for Infection and Immunity at Columbia University. Here is a look at the most prominent rumors and theories about Zika virus, along with responses from scientists. Researchers in Brazil are investigating thousands of reports of microcephalic births. While there is no solid proof that Zika virus is the cause, virologists studying the outbreak strongly suspect it.